Research and empirical data has shown that children undertaking unaccompanied journeys abroad are extremely vulnerable to dangers and violations of their human rights. They can be victims of kidnapping, sexual abuse, discrimination, forced labor, and many other life threatening risks. Yet many children make the decision to embark on a hazardous unaccompanied journey; a decision that is often supported by their families. The migration of unaccompanied children is becoming a serious matter of concern. While the nature of their travel, which is often facilitated through human smuggling networks, poses a great deal of danger to their well-being, their status as children makes them even more vulnerable to a different set of rights violations that may not be the case for adult migrants. Therefore, extra attention and programming is needed to address the specific needs of child migrants, including measures at the countries of origin even before the unaccompanied journey is attempted. While there has previously been research on the journeys of unaccompanied children and the conditions in countries of transit as well as in countries of destination, the birth-place of child migration, that is the countries of origin, is still massively under-researched. A joint AREU study titled “Why do Children Undertake the Unaccompanied Journey?” focusing solely on child migration from Afghanistan, is striving to fill in some of the knowledge gaps exist in understanding of the conditions in countries of origin. The report focuses on Afghanistan as a country with large number of unaccompanied child migrants and explores the motivations of children, families and residents of sending communities for their departure to Europe and other industrialized countries. The study suggests that in many cases, families and children themselves are indeed aware of the risks attached to their travel but attempt the journey nonetheless, often assuming that the potential benefits outweigh risks and rights violations that come along the way, or that they have no other choice, but to leave their country. Understanding the mindsets of children who embark on unaccompanied journeys, the mentalities and motivations of their families, as well as the underlying reasons for such decisions, is necessary in order for institutions such as the government of Afghanistan and international stakeholders go about tackling the problem. Findings of this study has been discussed with Afghanistan’s Ministry of Refugees and Repatriation (MoRR) and other stakeholders to help shape better policies on unaccompanied Afghan children, keeping in mind the root causes of unaccompanied migration by minors within sending communities. An open discussion was held on the 3rd of February 2015 in Kabul, where the Afghanistan Research and Evaluation Unit (AREU) met with representatives from the United Nations High Commissioner for Refugees (UNHCR), the Afghan Ministry of Refugees and Repatriation and a number of stakeholders, including International Organization for Migration (IOM), to discuss the study findings and their policy implications. Afghan children often leave their homes for a journey into the unknown as they deem their homes to have lost the “comfort” and provide little or no prospect for the future. 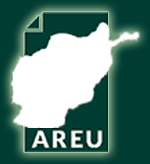 AREU research shows that the main motivations for Afghan children leaving their country are lack of educational prospects, high rates of unemployment, inadequate access to basic social services and worsening security conditions. While improving these conditions has been a top priority for the government of Afghanistan and the international community over the past decade, the development lens used has often lacked a rights-based approach in dealing with deeper socio-economic challenges faced by vulnerable groups, including children. Improving the educational system and providing better social services, for instance, has to take into consideration the specific needs and vulnerabilities of children. Therefore, policies dealing with potential child migrants from Afghanistan need to look further into the root causes of children’s unaccompanied journeys and not just deal with short-term consequences or outcomes of such travel. For instance, raising public awareness among the communities on potential risks attached to children undertaking unaccompanied journeys might hold back some children from attempting the move, but attending to the root causes of the problems, such as making the education system more accessible and providing better “child-specific” social services, can tackle the problem in a more meaningful way.